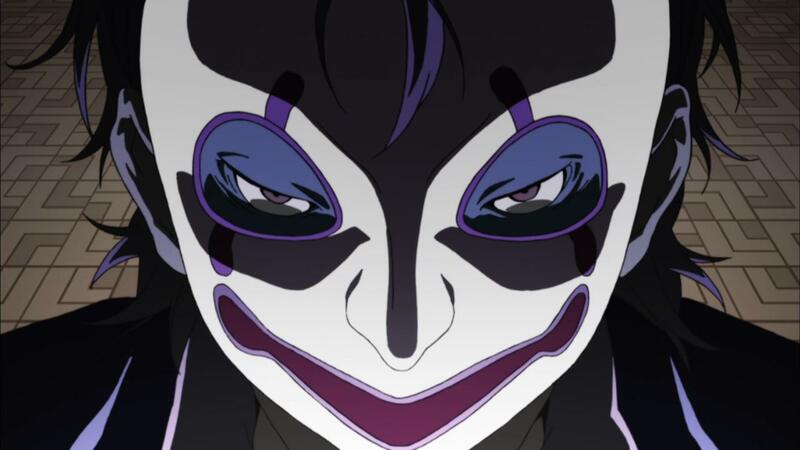 Mekakucity Actors Episode 10 Notes – Monsters and Humans. A Story of Love Gone Wrong « Geekorner-Geekulture. Also, “I wonder how it would feel, to live in a world without time.” – An interesting question. The father is late, but didn’t he then fail to come? 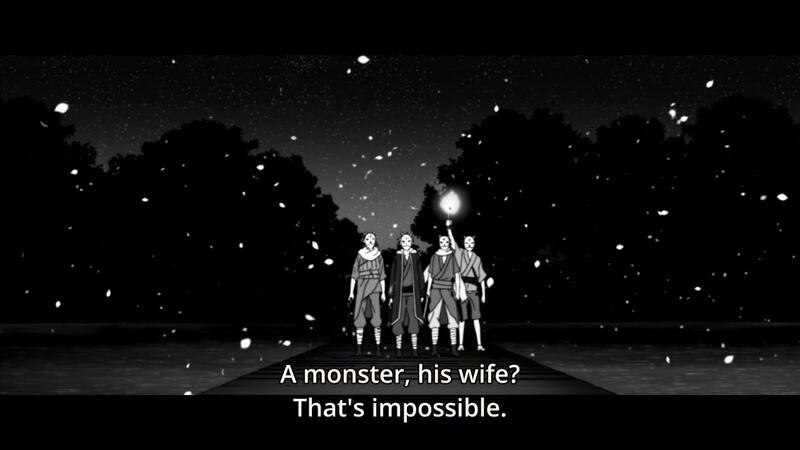 Which could’ve broken the monster’s heart. The father is late, and the monster treats his relations with other humans as a waste of time, which as a human he can’t allow to waste – we have finite lives, which makes what we spend time on even more important. Also another example of her worry – as a couple of days are blown up to be irreplaceable time, though they stand to gain eternity. 2) Ah, the old interracial deep-rooted hatred and mistrust of the other, “She’s his wife? No way! She kidnapped him and used her witchcraft on him to sway his heart and his mind!” – Also the fear of the unknown, of which women are a part, when one is male, and believes we’re not all simply people. “Get them before they get us!” is the other side of that fear, where it begets action even if unfounded. They attack the monster, they are “human”, yet they hide between the masks of monsters themselves.This shot is similar to the one from the first episode, with the criminals holding up the mall – appearing as clowns, as something more innocent. 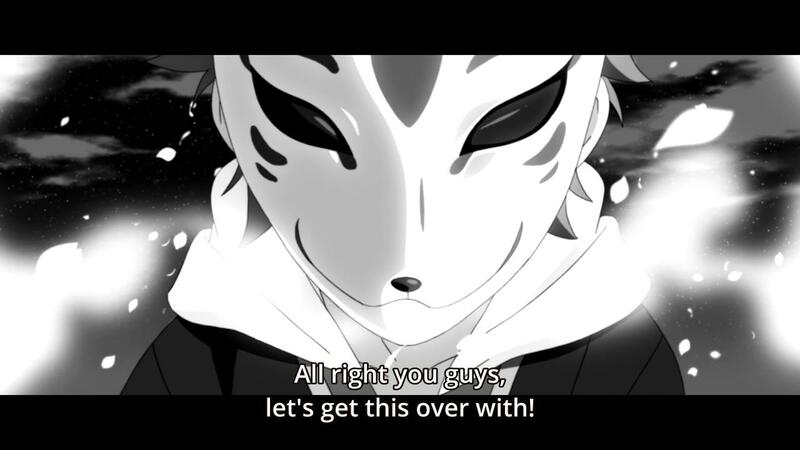 3) “If you won’t admit you’re being controlled and help us kill your wife, then we’ll beat it out of you!” – Yeah, they truly are thinking of what’s best for Tsukihiko. They are acting out of their fear, out of their hatred, and pin it on helping someone, whom they also beat senseless, for their own good. Sounds like Salem, or “Honour killings”. I also liked the beat as the Monster used all of her eye powers. So, a power to also turn people to stone might be one that we won’t see, but how about the one to read others’ memories? 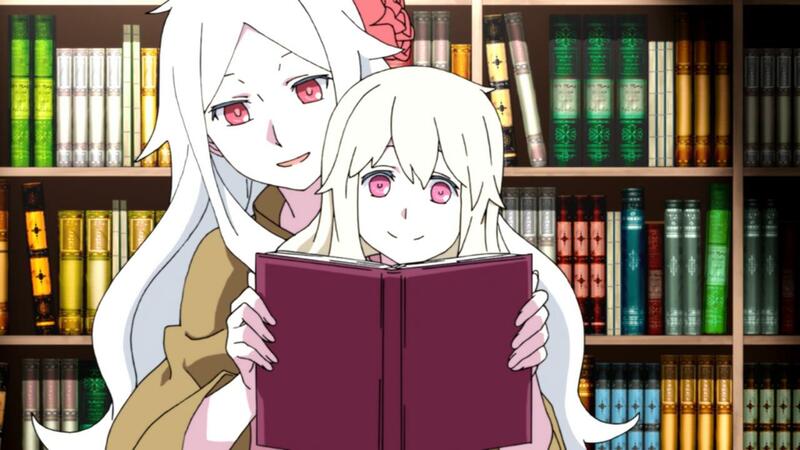 1) Time passes, and here we have Mary and her mother(? ), told not to go outside. So how do they procreate? Anyway, let’s go back a few moments. The Monster wished to spend time eternal with her husband and child, but now she will spend time eternal without them, frozen in the moment of loss – of rage and anguish. That can’t end well, can it? As she departs, a caduceus, snakes forming a symbol of infinity, but also the building-block of life, which demands change (it looks like the double helix of DNA). And yet, the old refrain “I tried to resist the natural order, I tried to think only of my own happiness”, speaking the same thoughts as the people who tried to separate her from her lover. But what of “The Frozen World”? That’s the true attempt to rebel against the way things are. The monster accepts herself as monstrous, or at least, “non-human” – she tells Shion to live as a human, to reject half her heritage. 2) Makes sense – generations forbidden from going outside, so may as well surround ourselves with books. Of course it’s symbolic – hunger for knowledge of the world outside, and reflection of how their own history made it into a children’s tale. 3) Like mother, like daughter. Anger at her child being threatened, and willingness to act in a way that will put her at odds with the world. As before, as is now – humans. The masks show that they lack individuality, they represent all of mankind, but are only willing to act without exposing themselves. 1) Ah, now it might make a bit more sense. Mary spent an unknown amount of time in the world without time. Could’ve been a small eternity. Also explains why “August 15th” keeps coming up, which we noted – The Monster made a wish, to save her daughters by bringing them here on the day they died, and then gave away her power, so the wish could not be undone. 2) “Farewell, our Master” said the Serpent, who interestingly enough speaks in the voice of Haruka, is he talking about how The Queen had been sent into Mary and thus back to our world? But if it’s truly his “Master”, then why could The Monster not command it? I think it’s more than a bit ironic. And as I noted before, the Serpent takes people’s wishes, and then subverts them. A world where time does not move, but it’s a world of eternal torment and pain. She wished her family to be there with her, and they are, in a world of torment. 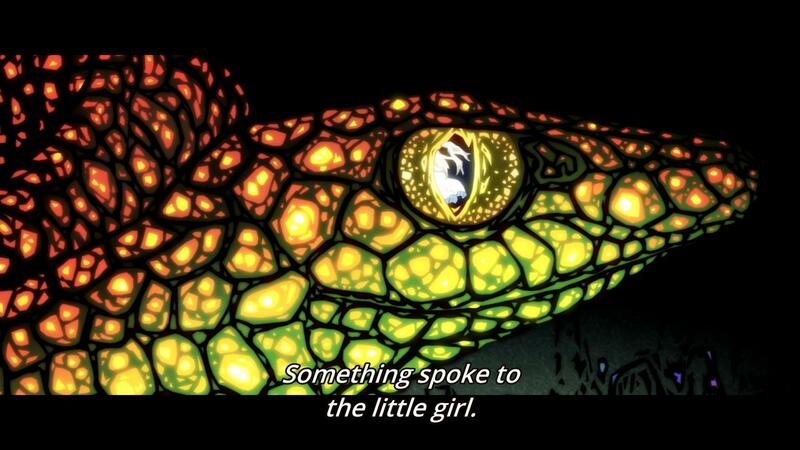 The Serpent keeps pointing out how the Monster’s wish, her selfish wish, brought it upon herself. Just like others’ wish to not die kills their relatives instead, or their relatives choose to die in their sake. All the children with the eye-powers are a replication of the Monster’s Tale – guardians who give up their own life, their own survival, for that of their children or loved ones. That’s how all the stories thus far had been. And the result? A life of solitude and pain, both for those who died, and for those left behind. Still wonder what’s with the Serpent, and why it wishes to create another monster. Simply because it’s a snake? But it’s not like it truly followed the previous “controller”. Weird. 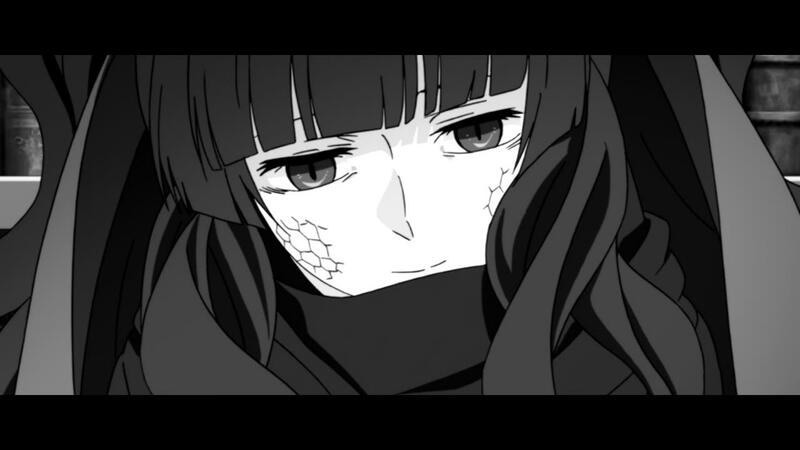 The Serpent does seem happy to torture Azami, to heckle her. That’s a large portion of her torment, to see this self-blame. 1) Separation from family is the theme here. 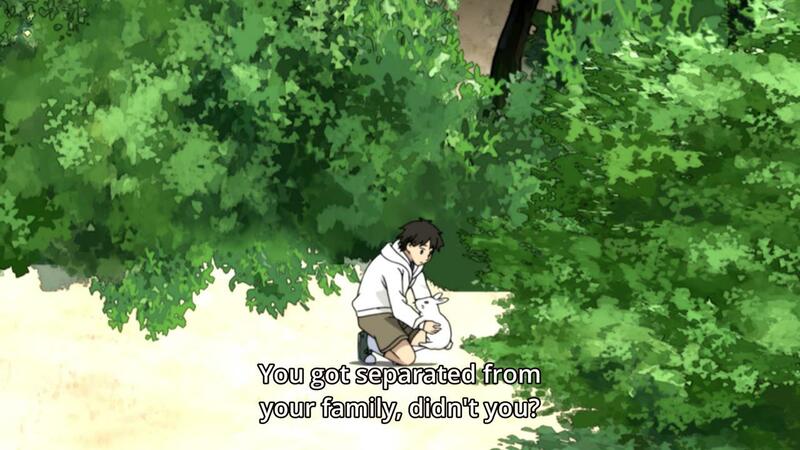 All the orphans, and now Seto is separated from his adopted family. Not to mention the Monster and her family. Separation, while being slightly different from everyone else, you still wish for them. 2) Makes sense. As blood diluted, so did the power. Asami could use all powers, including turn to stone. 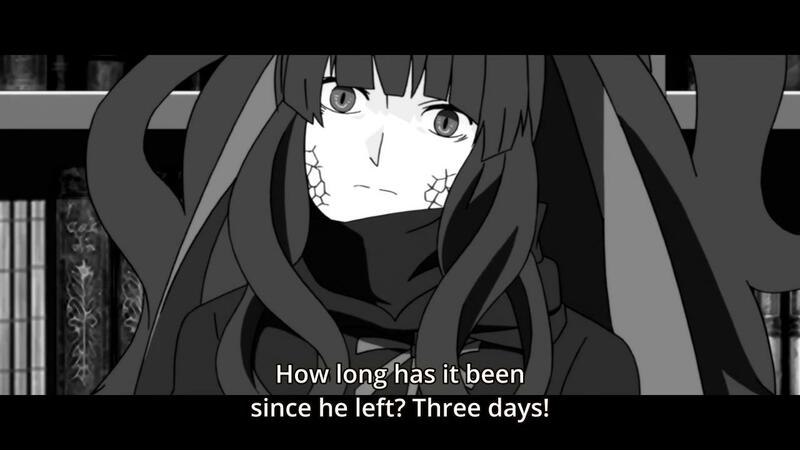 Shion could turn to stone, at the cost of her own life. Mary can freeze, so long she focuses on it. 3) “Forest Fantasy” sounds more or less exactly like the version I’ve heard before. Pretty quiet, and it’s fitting it. 4) Hm, it just hit me, “A world where time is frozen”, which collects the people who die. 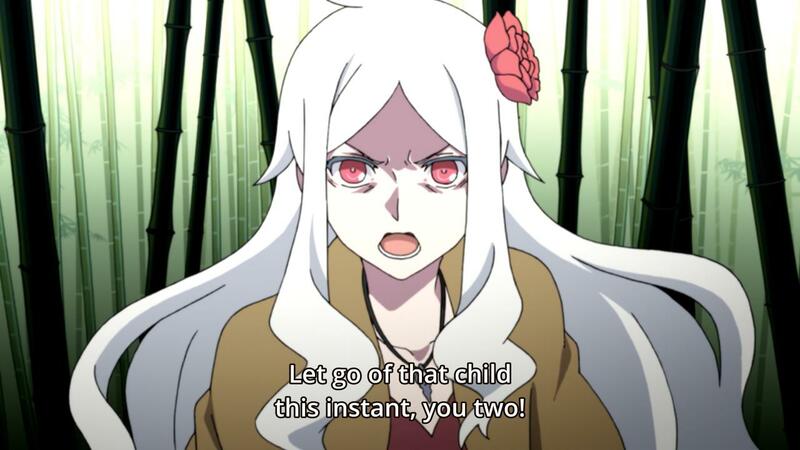 Is that where Ayano is? For that too is a world of frozen time, collecting the dead ones. Hm. 5) Awww, Shaft drawing cute girls! 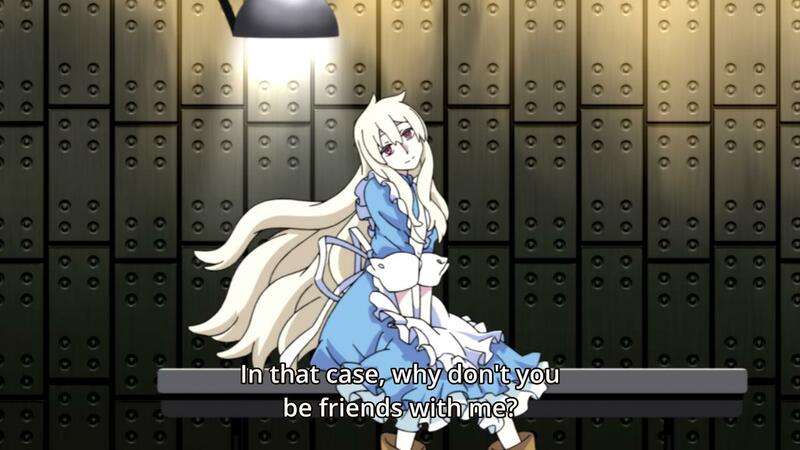 Who wouldn’t want to be Mary’s friend? When you think of it, Kokonoe with his white hair and red eyes is like a mirror of Mary, including with his desire for friends. 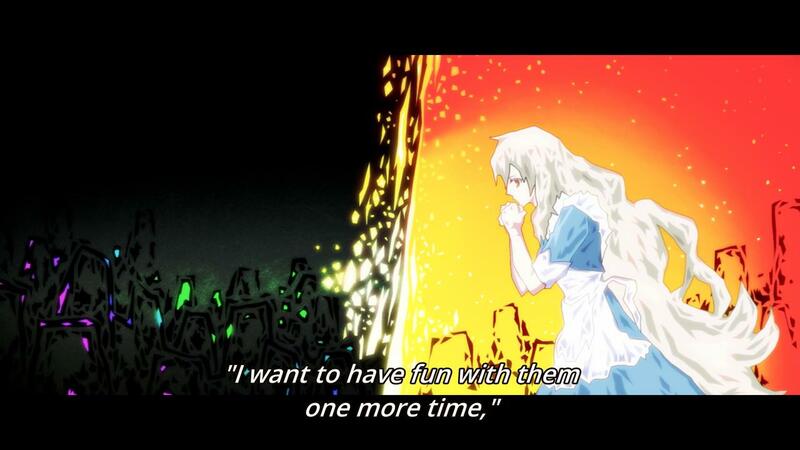 I do wonder though, where is Shintaro now? After demonic Mary came upon him? 6) The Monster’s tale is now Mary’s tale, the tale of the one holding The Queen. A tale of a selfish desire to not be lonely, and a world created to fulfill said desire, while subverting everything actually desired. Some would say Adam and Eve wished to be free from God, to be free as their own individuals, and look how that turned out for them. 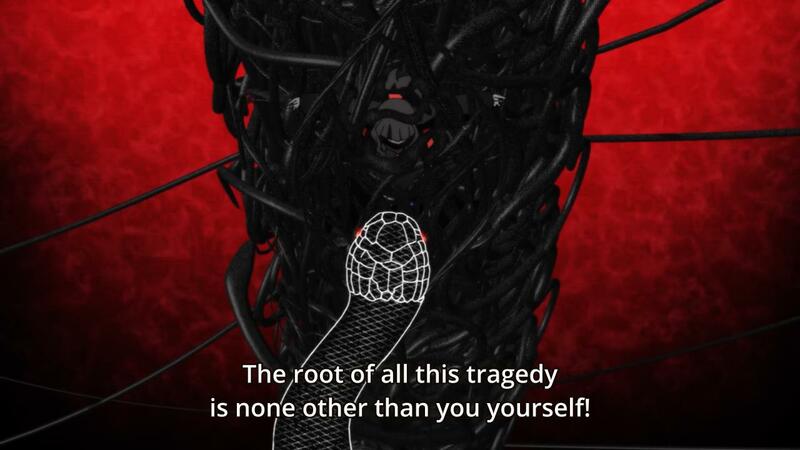 This was an interesting episode, in that it gave us a theme, or rather, had truly spelled out what the themes are, though if you see my previous write-ups, many of them are things we already know – trading your life for those of loves ones, and how selfish wishes are subverted. 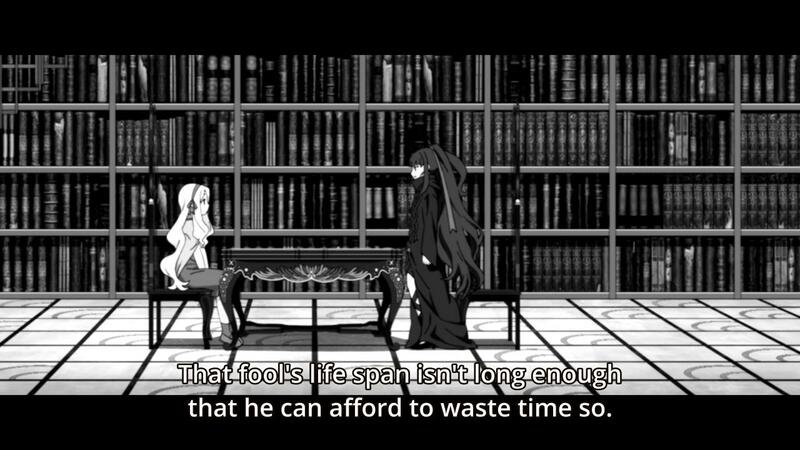 Coupled with the age-old anime/literary trope where a world of frozen time is a thing of suffering and pain, rather than something to be wished for. The desire for friends and others like you is what the series had sold us the Mekaku-Dan being all about since early on. Being like everyone else, and watching as they beat up someone who deviates a little bit from the norm, eh? I thought it was a good episode, a solid one, but at this stage an episode that didn’t really advance the story, nor did it truly fill any noticeable gaps, so I must question it being placed here somewhat. Would’ve probably worked better earlier in the show, or as part of a book. 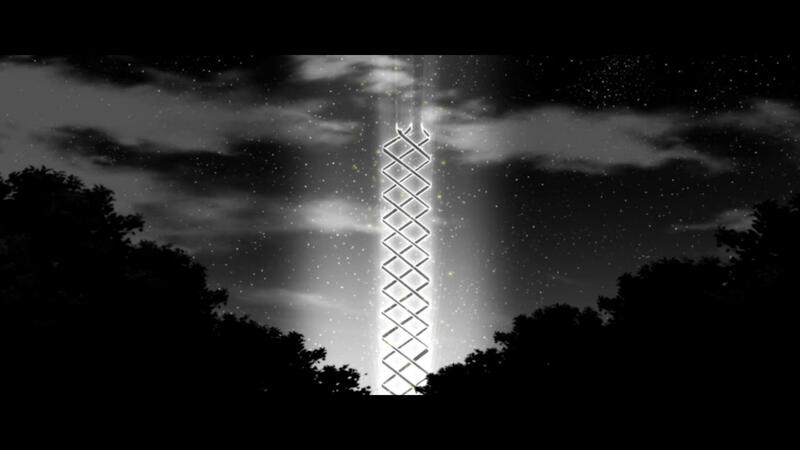 Return to the Mekakucity Actors Episodic Notes page. 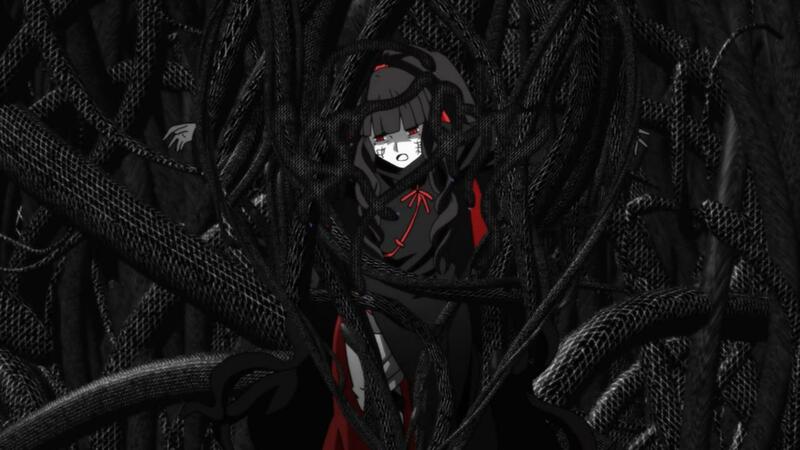 This entry was posted in anime, Episodic Notes and tagged Kagerou project, Kozakura Azami, Kozakura Mary, Mekakucity Actors, Subverted Wishes. ← No Game, No Life Episode 12 (Finale!) Notes – Losing is Fun, Together!